February | 2016 | Help Change The World. The Future Of The County Is Now. LANHAM – A 17-year-old teenager is in critical condition after he was shot Monday morning while he was standing near a bus stop on Greenbelt Road near DuVal High School. Around 8:30 a.m., fire and police units from the Prince George’s County Fire Department responded to the 9900 block of Greenbelt Road for a shooting, said Mark Brady, spokesperson for the county fire department. The teenager was quickly transported to a trauma center in the county suffering from gunshot wounds to his upper body. Paramedics said the victim went into cardiac arrest during the transport, but they were able to revive him. He remains in critical condition. Several schools in the area, including DuVal High School, Robert Goddard Montessori, Katherine T. Reed and Magnolia Elementary Schools, were placed on lockdown during the investigation. The lockdown was lifted around 11:30 a.m.
Police says they believe the shooting was not random and are searching for two suspects. Officials are seeking help from the community. If anyone has information regarding the incident, they are asked to call the Prince George’s County Police Department’s Homicide Unit at (301)-772-4925. Impact of corruption On PGCPS and ongoing events. Impact of corruption is very hard on public life not only in Prince George’s County, but many places around the world. The effect of corruption has many dimensions related to political, economic, social and environmental effects. In political sphere, corruption impedes democracy and the rule of law. In a democratic system, public institutions and offices may lose their legitimacy when they misuse their power for private interest. Corruption may also result in negative consequences such as encoring cynicism and reducing interest of political participation , political instability , reducing political competition, reducing the transparency of political decision making, distorting political development and sustaining political activity based on patronage, clientelism and money, etc. In our society, the impact of corruption is often manifested through political intolerance, problems of accountability and transparency to the public, low level of democratic culture, principles of consultation and participation dialogue among others. The economic effects of corruption can be categorized as minor and major. However, both in one way or the other have serious impact on the individual community and country. First and foremost, corruption leads to the depletion of national wealth. It is often responsible for increased costs of goods and services, the funneling of scarce public resources to uneconomic high profile projects at the expense of the much needed projects such as schools, hospitals and roads, or the supply of potable water, diversion and misallocation of resources, conversion of public wealth to private and personal property, inflation, imbalanced economic development, weakling work ethics and professionalism, hindrance of the development of fair in market structures and unhealthy competition there by deterring competition. Large scale corruption hurts the economy and impoverishes entire population. In Social sphere, corruption discourages people to work together for the common good. Frustration and general apathy among the public result in a weak civil society. Demanding and paying bribes becomes the tradition. It also results in social inequality and widened gap between the rich and poor, civil strive, increased poverty and lack of basic needs like food, water and drugs, jealousy and hatred and insecurity. Closer home, the people involved in corruption seem to be hiding themselves by blaming others. Even they are proud of themselves as they appear to have made more money in short time. To worsen the condition further, those involved in corruption in PGCPS are able to get better promotions and opportunities. PGCPS Senior staff including several Board of Education members appear to have developed an opinion that, it is the only way to get their work done. If not, the work will be pending for long or even might not be done. Below is an account by a staff member who shared her views through our blogs anonymously. We hope you will get a better picture. 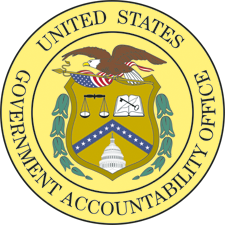 In regards to Government Accountability office (GAO), Please don’t miss the big picture here. It was the GAO that discovered the fraud in PGCPS and Not the Director of Food Services, that is, Ms. Shorter or a member of her staff?? So they where totally unaware?? NOT POSSIBLE!! For anyone who has applied for this benefit, your income must be proven with documentation. Does this administration expect that we (the public) are to believe, that NO ONE on Ms. Shorter’s staff recognized Lynette Mundey name? Not even her Supervisor or Chief?? You do know, they attend Board meetings right? Well, No, it is part of the on-going corruption that has been embedded in our Prince George’s County school system and the fear of retaliation for reporting illegal acts that did not stop her fraud by someone inside the system. People who have been with this system for a while, have witnessed the firing of whistle blowers or anyone who impacts the illegal activities which our executives and Board members are openly engaging in, every single day. When you start impacting the packing of their pockets and purses, then they make sure, you have got to go!! People, we have need to stop living in fear, as it is the destruction of our children. They are the ones that suffer! There is absolutely “no shame in the administration’s game” as they openly participate in such crimes as, bid rigging and price fixing; extortion of funds from MBEs; black balling of vendors not willing to participate in fraud; withholding payments from vendors when they fail to comply with scope changes without compensation; sole sourcing; over ordering equipment (computers, AC Units, Fans) and supplies that accidentally on purpose disappear, then sold on the street; and how about their favorite, put bids on the street, knowing full well they have already selected their vendor. PGCPS has become the best kept secret for Board Members and criminals needing to supplement their income through kickbacks and procurement violations; gain power of name recognition while collecting a check and destroying the future of our children. CEO Dr. Maxwell has packed Sasscer with a bunch of heavy staff titles that fail to hold the educational qualifications to move our district forward. Yet he is consolidating schools, over packing class rooms, cutting specialist like counselors, reading specialist and teachers aides. These so called cabinet members all make over $100K per year, some have earned large bonuses, including the Chief who is responsible for the oversight of the department supervising the volunteer. For each one Sasscer staff hired by Dr Kevin Maxwell, PGCPS could have put 3 or 3 resources back at the school level. Even more concerning, not only does the Elected School Board know these positions are a waste of tax payers money, they no longer have the power to vote on these new positions. In most cases, they sit back and remain quiet, allowing the firing of those who speak out or attempt to stop illegal activities including waste and destruction at the school base level. We are sure it will make a real difference if Dr. Charlene Dukes was out of the equation. People will speak out to help fix the problems knowing that they will be protected for exposing the illegal activities. PGCPS management has established a culture of “be part of the corruption or ignore your lying eyes, lest you be destroyed! !” Think about it, how does the illegal activities continue through multiple Superintendents, if it is not engraved in the culture with protection from outside the system? Not to mention the Unions, we are forced to pay dues to, when they conspire with the Administration to get rid of whistle blowers and allow Human Resources and Labor Relations to ignore basic policies and guidelines. Everyone employee that pays into a Union, should demand that they produce the number of cases brought to them over the last 3 – 5 years and how many individuals have retained their jobs! We would bet, majority of the individuals that should have never made it to HR are no longer with the system. The Administration lets our Unions know who they will screw over and they sit back and allow it. Then they say “you know its political.” Too many cases that a 1st year law student could have gotten thrown out were lost by our Unions. They are not that incompetent. Are they? Finally, many of us believe there are some Board Members and even some Executives that have not totally sold their souls to the devil but your continued willingness to “Look the Other Way” makes you just as guilty! Speak up before it hits the media. Please help our children in Prince George’s County by stopping Rushern Baker, Kevin Maxwell, and Dr. Eubanks. We need HB1107 declared unconstitutional. THANK YOU FOR THE OPPORTUNITY TO SPEAK WITH YOUR TODAY. LAST WEEK AND YEAR AT THE BUDGET HEARINGS,I ASKED A COUPLE QUESTIONS OF THIS ADMINISTRATION. TO DATE, THERE HAS NOT ONLY BEEN NO ANSWERS, MORE IMPORTANTLY, NO CHANGES IMPLEMENTED, REPORTS GIVEN OR ACCOUNTABILITY TO THE PUBLIC, FOR HOW OUR TAX PAYERS DOLLARS ARE BEING UTILIZED. THAT IS, EDUCATING OUR CHILDREN. AT THE BUDGET HEARING HELD ON 2/9, (WHICH THIS BOARD HAS YET TO POST), I ADDRESSED THE SIGNIFICANT INCREASE IN CHIEFS, WITHOUT ANY INDIANS. THAT IS, DEPUTY SUPERINTENDENTS, ASSOCIATE SUPERINTENDENTS, ASSOCIATES TO THE ASSOCIATES , CHIEF TO THE CHIEFS; IN OTHER WORDS THE INCREASE FROM 10 TO 29 EXECUTIVES THAT APPARENTLY HAVE NO DIRECT IMPACT ON STUDENTS. THE AUDIT PERFORMED BY THE STATE REVEAL SEVERAL AREAS OF WASTE AND (ALTHOUGH NOT IDENTIFIED UTILIZING THESE EXACT WORD), FRAUD THAT STILL CONTINUES. FOR EXAMPLE; HOW DID THE TRANSPORTATION DEPARTMENT PAY 3 EMPLOYEES 203.75, HOURS OF OVER TIME, WITHOUT ANY DOCUMENTATION TO SUPPORT THE HOURS WERE EVEN WORKED?? THAT BEING THE CASE, CAN SOMEONE EXPLAIN TO ME, WITH 21 NEW POSITIONS AT SASSCER, HOW IS IT, WE FELL BELOW IN EVERY GRADE LEVEL FOR MSA WHEN COMPARED AT THE OVERALL STATE AVERAGES?? HOW DID SAT SCORES IN READING DROP FROM 433 IN 2013 TO 405 IN 2015? HOW DID SAT SCORES IN MATH GO FROM 422 TO 397?? AND HOW DID WRITING SAT SCORES GO FROM 418 TO 393? HOW DID PURCHASING SOLE SOURCE PROCUREMENTS TOTALING 1 MILLION DOLLARS IN REVENUE WITH NO DOCUMENTATION? THE SAME THING WAS ADDRESS IN THE PREVIOUS AUDIT. WHAT HAVE YOU DONE ABOUT IT? HOW DID 2.4 MILLION DOLLARS IN EXCESS DONATIONS TO SICK LEAVE BANKS GET DISTRIBUTED?? WHAT HAVE YOU DONE ABOUT IT?? HOW DID TRANSPORTATION INCREASE BY 2.6 MILLION DOLLARS IN OT AND YOU CAN’T JUSTIFY IT?? WHAT HAVE YOU DONE ABOUT IT? We need the citizens of Prince George’s County to bombard the telephones and emails of the Ways & Means and Economic Committees. Their emails are below. After reviewing the budget, I’ve notice several things where money can be saved. You are proposing a new position: Associate Superintendent for Special Education & Student Services. Our system use to have a division that included student services and the parent piece. The parent piece is now under the Chief, Strategic & External Affairs. You can move Family & Community Engagement under Student Services and save money. Strategy, Planning & Performance and Strategic Resource Planning descriptions are similar enough that these departments can possibly be consolidate and may generate enough funds to keep Forestville open. There appears to be duplicity with the Deputy Superintendent and Areas Associate Superintendents that can fund school based resources. The CEO is paid around $100,000 more than any other leader of our school and he has only one reporting person and that position is performing duties that are outlined within the guidelines, scope and framework of ESOL. Why you would focus on one group of immigrants and setup this county up for a wreckless and costly discrimination lawsuit is beyond me. The departments that reported to former CEO/Superintendents now report to a new position – Chief of Staff. For the money that we pay the CEO, he needs to earn his pay and the Chief of Staff and Diversity Officer positions eliminated. As for Busing: the MOU of 1998 was settlement to end busing and return children to their neighborhood schools. There is no excuse for busing children all over the county. The MOU required the system to put resources in neighborhood schools. A judges order does not expire until it has been fulfilled. For those asking how is it that decisions are made with limited community input is because of HB1107. This law has handed our system over the county executive and Dr. Maxwell to do as they please. This people is why he can not show up for meeting and send late notices to the community on changes. We used to have 1st and 2nd readers to allow for community input. People, if we want to stop all of this, we must repeal HB1107. Please contact your state legislators and demand they repeal HB1107. There is an agenda at play here. What is the outcome at the end?- Their TIME IS UP! There is an agenda at play here. What is the outcome at the end after millions of dollars got embezzled? It’s been close to three (3) years since Dr. Maxwell took over the Prince George’s County Public Schools (PGCPS) and the level of inaction is very frightening, worrying and borders incompetence in total disregard for Prince George’s County at large. Lack of effectiveness and direction since the hiring of Dr.Maxwell in the dark by Dr. Charlene Dukes and her close friends after being awarded millions of dollars is a traction to the county schools. It does not take a rocket scientist to show that, there is a hidden agenda to derail the county in many ways for personal gain by selling off school property. We could point out a few things we could address immediately. The so called low hanging fruit. To show effectiveness and seriousness, intent and resolve in fixing many of the challenges besetting our school system. President Charlene Duke doesn’t have to purchase things, in her college but she can pick a sample of 3 items randomly review, and discover the massive theft from Prince George’s County Public Schools (PGCPS) using proceedings from Charter, and stop it. And she doesn’t have to do that daily, she can do it weekly. Just 3 items and audit for inflated prices to educate poor children in a community college. That’s what CEOs do. President Charlene Duke doesn’t have to select about 100 kids to award them a college diploma as the others look as if they don’t matter due to discrimination. All children matter. They deserve support and a loving environment. She is responsible for instituting a pilfer-proof financial control system in Board of Education for Prince County as a previous Board of Education member, but she didn’t. She has to take responsibility now and bow out. Her time is up! Charlene Duke’s position is now untenable as a “protector” with corrupt dealings. She has effectively lost the high moral ground to continue transacting business on behalf of Prince Georgians. What she needs to do now is negotiate her exit with her appointing authority, and the 2 can agree to keep each other’s little secrets, and promise to never spill the beans of what they know about each other, in light and in darkness. Maxwell can even do what some other “Superintendents” in the county once did, which is to contain Charlene Duke in some form and never allow her to interfere with PGCPS. She is privy to a lot of illegal board of Education secrets and her exit has to be negotiated and managed, “in the interest of Board of Education Security”. Or even give her some holiday treat to some place far away, then she can come back from “exile” after many yrs. With our understanding of statecraft, its a matter of when not if, that Charlene Duke will exit. Maxwell can choose to retain dignity, or loose his dignity in a messy Charlene Duke exit from the affairs of the county schools. In PGCPS, the CEO is empowered to make sole decisions about the future of our school system with no legal obligation to accept counsel from the board…. he is the sole decision-maker… and the potential for further disenfranchisement is great! In the last, two years, We have witnessed in PGCPS Extraordinarily high salaries for overhead, excessive overtime, waste and abuse, and major push back on programming intended to aide in the day-to-day development of our students, …there’s money to hire executives that doesn’t require board approval, but no money for reading and arithmetic literacy programs! In the French Revolution, the entire lineage to the throne was beheaded, when the King failed to heed to the signs of the times. Maxwell is a good student of History, and he shouldn’t wait for PGCPS to be “beheaded” in a revolution that is fast gathering steam towards 2016. Maxwell can stop a revolution now, by the stroke of 1 o’clock news. That is how Maxwell can avert an uprising, war and escape the wrath of the masses. That is the Foxiness that perpetuates a Prince stay in power. Insisting on keeping Charlene Duke who is accused of cover ups and fraudulent deals, is stoking the embers of anarchy, and decay in the rule of law in Prince George’s County. You intervene in a timely fashion. Rather than wait to use the county Executive to intervene on your behalf in warding off demonstrators demanding Charlene Duke and others ouster from the affairs of the county, Maxwell should just let this cancerous lesion go. The best friend who greased his wallet in his cabinet to become a CEO has to be debrided. Vanilla chocolate may be sweet, but the presidency in the name of “CEO” of the county is sweeter when there is no organized illegal activity. If she was loyal, she would have made it easier for you, but she is not, the county needs committed leaders who will elevate this county to a new level without discrimination, make changes for the benefits of all children and families. A Challenge for Prince George’s County citizens to wake up! Warren Christopher, retired Lt. Colonel in the U.S. Army and candidate for the 4th Congressional District of Maryland witnessed What would baffle the mind, any mind; sadly, he left more discouraged about our pgcps school system than ever. Warren Christopher is a retired Lt. Colonel in the U.S. Army and a former chief of staff in the U.S Department of interior. He is One of the Candidates running for Maryland’s 4th Congressional District in Prince Georges county. Mr.Christopher appears to have captured citizens concerns with our ailing school System after narrating his thoughts on facebook wall a day ago. What are the positions of the other Candidates running with him in regards to the affairs of Pgcps which has become a cash cow? We would love to list each candidate’s stand before the up coming primary 2016! After Warren Christopher attended a Prince George’s County School Board Meeting this week , he shared his views on Facebook post which captured the feelings of many. I just got in from attending another Prince George’s County School Board Meeting. Folks, Please wake up. What I witnessed would baffle the mind, any mind; sadly, I left more discouraged about our school system than ever. Extraordinarily high salaries for overhead, excessive overtime, waste and abuse, and major push back on programming intended to aide in the day-to-day development of our students, …there’s money to hire executives that doesn’t require board approval, but no money for reading and arithmetic literacy programs! The CEO is empowered to make sole decisions about the future of our school system with no legal obligation to accept counsel from the board…. he is the sole decision-maker… and the potential for further disenfranchisement is great! Voting has real consequences… Please, help me get these establishment and career politicians OUT of office… they are more concerned about the example of their power rather than the power of their example to truly do what’s right for our children, who deserves the best education we can deliver… a fair shot at success. The Same Vote, The Same Circle of Establishment Politicians… The Same Results. They are counting on you to vote base on name recognition… PROVE THEM WRONG… Take back Your Political Power and Hold US All Accountable to YOU! 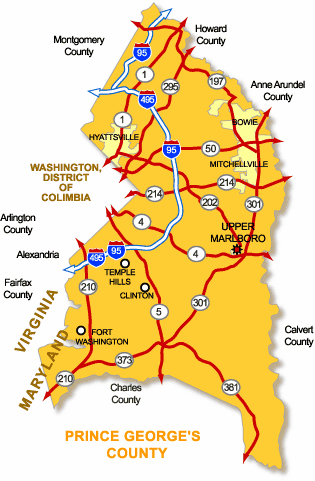 What are the positions of the other Candidates running for Maryland’s 4th Congressional District in Prince Georges county in regards to the affairs of Pgcps which has become a cash cow! We would love to list each candidate’s stand before the up coming primary 2016! UPPER MARLBORO — If the board of education meeting last night proved anything, it’s that advocacy and numbers can make an impact in any governmental body’s decision. The Prince George’s County Board of Education voted in a 10 to one decision last night to postpone their vote on boundary changes for one year after a packed board room with nearly 80 registered speakers voiced their concerns over school consolidations and boundary changes during the scheduled board hearing. Verjeana Jacobs, who represents District 5, made the motion to postpone the vote and said that, while she does not personally represent any of the schools affected by the proposals, she was strongly moved to take a stand by parent testimony. “The oath that we took was to uphold what’s right for every district in this county and so, while I still want to hear from everybody, I really would like to put a motion on the floor that we postpone this decision until this time next year,” Jacobs said at the meeting. Board member Edward Burroughs III seconded the motion and the board approved the motion, despite the fact that the meeting was supposed to be a public hearing only with no official board business. The lone dissenting vote, Board Chair Segun Eubanks, said he felt the board should wait to vote until the board meeting on Thursday, when the school administration and legal team are present. He said he felt it was inappropriate to take the vote at the time. Although Prince George’s County Public Schools (PGCPS) Chief Executive Officer (CEO) Kevin Maxwell and his administration proposed the changes, only two administrators were seated at the dais during the meeting. Sherrie Johnson, a spokesperson for PGCPS, said Maxwell was at another previously scheduled event and did not have a work or legal obligation to be at the meeting, since it was a board hearing only. Despite the motion to delay the vote on boundary changes, Maxwell, according to Maryland law, has the sole authority to make school consolidations, which in effect are closures. Jacobs suggested the board may be able to override the CEO’s decision with a two-thirds vote and said the board will consult their legal advisor on how to proceed next. At the meeting, residents from across the county came out in droves to protest the boundary changes proposed by Maxwell and the proposed closure of Forestville High and Skyline Elementary schools. While the conversation was dominated by parents unhappy with the proposals, parents and community members also complained of a lack of communication between the school system and the community, citing that parents had not been informed that their schools were closing or that there was a board hearing until the last couple of weeks. 80 speakers registered to speak at the meeting, which was completely packed to capacity with residents pouring into the hallway. As the role was called for the vote, Burroughs and Jacobs both celebrated the majority as Burroughs arose from his seat with his hands in the air. Residents in the room also came to their feet in excitement and loudly cheered the decision. During the meeting numerous speakers had requested the board delay the vote on the changes until a proper conversation with the community is held. Parents and teachers alike asked the school system to open up the process so that the decision is made not by a group of officials, but by the community in general. C. Anthony Muse, who is the state senator for District 26, spoke at the meeting and said he had numerous concerns about the proposed changes. “Let me first start off by saying I wish that we had more community input prior to these decisions being made and letters and ‘robo’ calls being sent out to the parents and the community,” he said. That sentiment was echoed continuously throughout the meeting. Monique Walker has a child at Potomac Landing Elementary School, which is one of the schools affected by the proposed boundary changes. The school currently feeds into Accokeek Academy, but after boundary changes would feed into Gwynn Park Middle. Walker, who is concerned about the quality difference between the two schools, said that while she does have concerns about the changes, she is more concerned about how the process came about. LaDonna Dingle, a parent of a child at Skyline Elementary, said she is deeply concerned about how the school system plans to integrate the autistic children at Skyline into other neighborhood schools after Skyline is closed. Although the school system has said some supports will be provided to students, she said, parents have not been given adequate information about the transition. “The students, parents and staff have not been thoroughly or adequately informed at this time of how these services will be provided in our neighborhood schools,” she said. Dingle also complained that the school system will not meet with parents until March, and said the families should have had an opportunity to hear from the department of special education before any decisions were made. “This meeting should have been held prior to the public hearing and prior to the announcement of the school closure,” Dingle said. Many parents expressed similar concerns over the closure of Skyline and expressed fear over how their students with disabilities will be treated and aided at other schools. Aaron Barnes has a son at Skyline who he said has never been in the general education environment because it “has not been deemed appropriate.” Barnes said his son went to two different schools that did not work out for him before he started at Skyline. At his previous schools Barnes’s son became “violent, a biter (and) he was not learning anything.” At Skyline, he said his son has thrived, and now he doesn’t know what will happen. Walker said, overall, the complaints and concerns from families are all about their children’s safety. For Walker personally, she doesn’t want her child’s boundary school to change from Accokeek Academy to Gwynn Park because of the logistics. “It is 13 miles away where our children have to ride on the bus. To get on the bus, they have to be at the bus stop at 6:30 in the morning, which is unreal. And, during the winter time, it’s not light outside,” she said. Safety is also a concern for many students and parents with the suggested closure of Forestville and moving of students to Suitland High School, which many claimed has had a long-standing rivalry with Forestville. Kenneth Smith, a parent of a student at Forestville, said the school board doesn’t hear what is going on with the students, especially in regards to fighting and other struggles. “You don’t hear when the kids say ‘I want them to come over here, it’s going to be a fight.’ Each and every one of you that’s involved in this have an option to make this stop before it happens,” Smith said. By moving the kids from one school to the other, he said, arguments will arise, and Bobby Fernandores, another parent of a Forestville student, agreed. Fernandores said his concern isn’t just for his daughter’s academics but for her safety. Gail Bingham, a parent of a Suitland student, said her son has heard “talk already” about fighting that would occur if the schools were merged. Bingham said, while her child would welcome any students, there are kids who would not welcome new students. “We’re setting the kids up for failure,” she said. Kimberly William, who has a student at Skyline, felt the same way about moving special needs children into the general education population. She said her understanding of Skyline is it functions as a school for children that cannot learn in a typical environment and said she cannot understand why PGCPS would close it. “This is a recipe for a disaster and if one child fails because of this, it is on your shoulders,” she said to the board.